Florida! <rimshot> Unfortunately, not a whole heckuva lot has changed since Derek wrote about his search for a higher rise pant a while back. One issue with finding a modern, flattering cut with a higher rise is that companies making higher rises are also mostly making more relaxed fits overall, so if you want a taper similar to the pleated trousers I reviewed, your options remain limited. Alterations can be done of course, and a pressed crease can give the illusion of a taper. Christian Chensvold at Ivy Style was working on a high rise, tapered design but that’s on indefinite hold. I have myself tried out J. Press’s cotton twill trousers ($120, pictured), and found them to be quite nice—I’d definitely wear them as office pants, rather than an equivalent to jeans. I don’t know the rise measurements offhand; the “regular rise” I tried were high compared to most modern cuts. 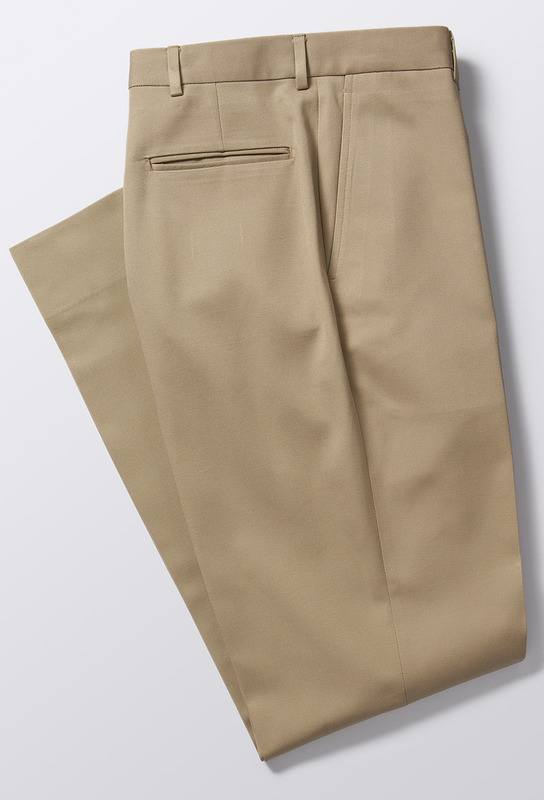 Bills Khakis M2 pant ($145) is similarly a traditional rise trouser, and flat front. Note the 9 inch width at the hem, though–pretty wide. 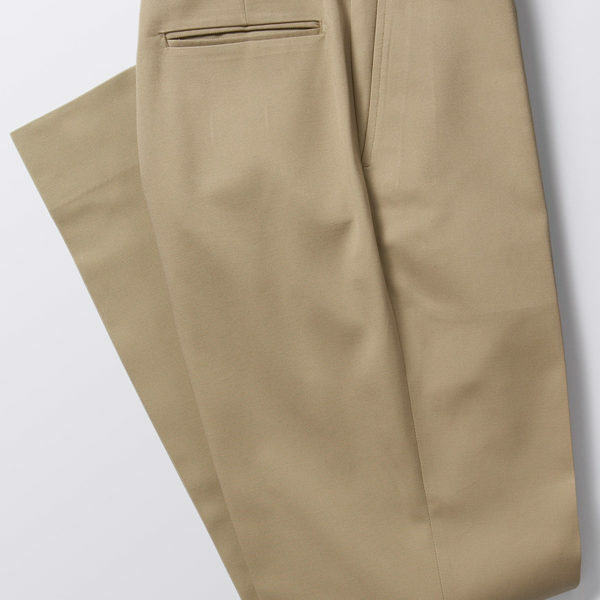 O’Connell’s also sells a traditional fit cotton twill pant ($125, hemming included). Another option might be military reproduction trousers like these officer trousers from What Price Glory, which are both high rise and wide legged (and only $45). Jesse has had good experience with What Price Glory, but we haven’t tried out these particular pants.